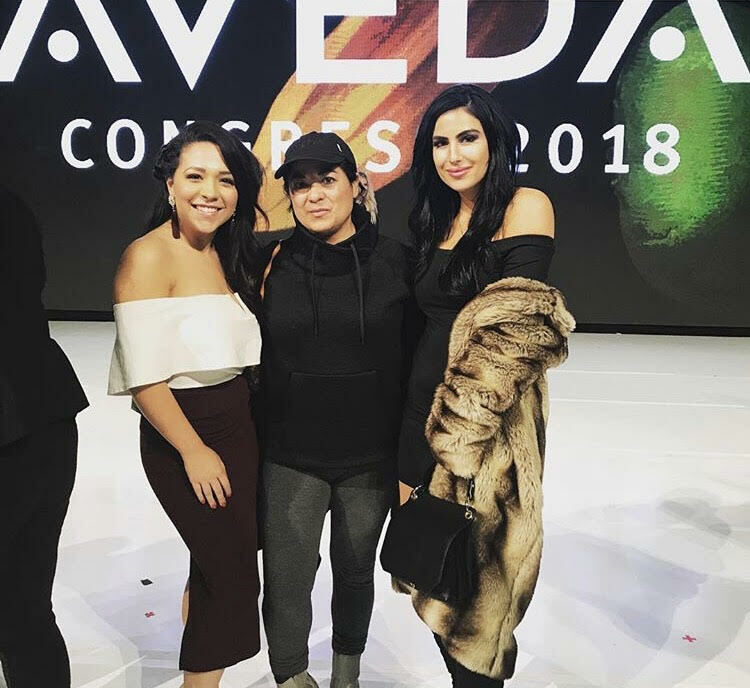 Three of our stylists are back from Aveda Congress 2018 just now! Looking through their Instagram/Instastories and from what they tell us, it sure looked like a lot of fun mixed with education, inspiration and of course, style! Lyndsay on the Aveda swing. Cassandra and Lyndsay stand in front of the #feedmylips Aveda lipstick wall. 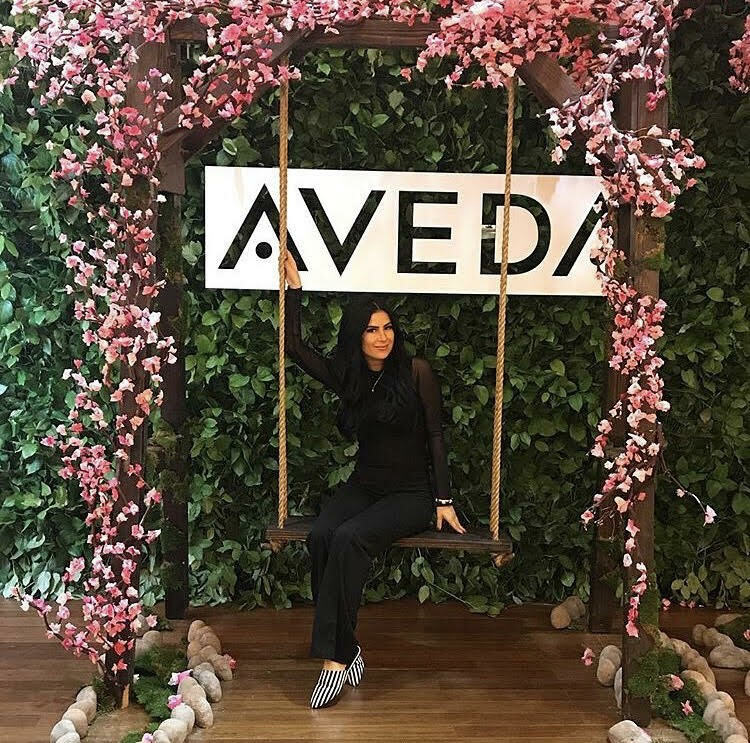 Evelyn sits on the Aveda swing. Light and bright colors at Aveda Congress marked Aveda’s 40th year anniversary! Here at Namaste Salon and Spa we are celebrating this special year every year and every day with educational sessions, mentorship, inspirational looks from Aveda and sharing with our colleagues! With love, here’s to another 40+ years Aveda!